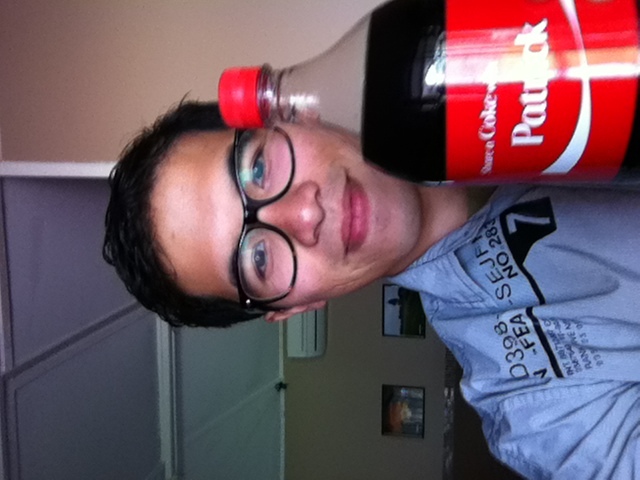 Patricious | "My thoughts are stars I can't fathom into constellations." That awkward moment when you tell all your workmates you’re a Christian. 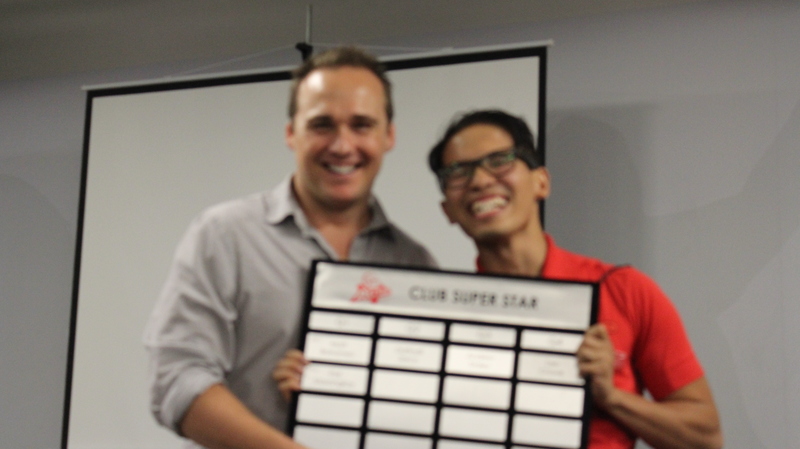 Last night I was awarded the ‘Virgin Activist’ (previously named ‘Club Super Star’) for the first quarter at work. I think this is equivalent to the ‘Employee of the Month Award’ but it’s awarded every quarter at work. I love my job. And it’s been such a blessing after years of trying to find a workplace that will take me for who I am. I am subject to your mercy when I screw up. I guess I work hard because I follow Jesus, and because he’s my greater boss, I work even when no one’s looking. It takes too long to upload (although I was impressed that YouTube can keep track of the upload even though my Internet connection was interrupted and my computer turned off mid-upload). It might make viewers complacent about attending church. There are more interesting, creative and effective ways of proclaiming the Gospel on YouTube. But it can give unchurched peoples an opportunity to experience a SMALL part of a church service outside of church. Conclusion: It might only be worth it for special and uncommon occasions. was the response I got after I asked a client at my gym how he felt about that exercise. I find is so incredible that we can be so aware of the things that humble us and not so much so of the things that puff us up and make us behave as if we’re better than everyone else. But even more incredible is that it’s the things that humble us that can make us feel the most incredible. Humility’s a subject that I seem to have made a hobby of studying over the past few years. I’ve enjoyed reading John Dickson’s ‘Humilitas: The Lost Key to Life, Love and Leadership‘ and C. J. Mahaney’s ‘Humility: True Greatness’. But I think the most significant insights I’ve made on the subject have been through listening to Tim Keller’s sermons, particularly ‘The Sickness Unto Death’. In it Keller reveals how much we need God’s praise, and that all alternatives to God’s praise will ultimately fail. But more importantly, it is because in Jesus God brought his punishment so that we could get his praise that we truly humbled (and truly exalted at the same time). Later this afternoon, two of my friends will be wed. It’s not the first time I’ve witnessed a friend’s marriage, but it’s surely one of the things that changes the dynamics of our friendship. Their marriage (and this is after the wedding) becomes a blessing, not only in their lives, but ours as well as a group of friends. 25 Now about virgins: I have no command from the Lord, but I give a judgment as one who by the Lord’s mercy is trustworthy. 26 Because of the present crisis, I think that it is good for you to remain as you are. 27 Are you married? Do not seek a divorce. Are you unmarried? Do not look for a wife. 28 But if you do marry, you have not sinned; and if a virgin marries, she has not sinned. But those who marry will face many troubles in this life, and I want to spare you this. 1 Corinthians 7. 25-28, 36-38. Here I’ve assumed (as I’ve been taught) that virgins were mentions specifically because they were betrothed to be wed, as engaged people make a promise to be wed. Careful and better reading of this passage has allowed me to notice that Paul does not belittle marriage, but elevates singleness (in a society where heritage is important) and continues his critique of sexual sins from the previous chapter. So a few days before the ‘mini tornado’ in Townsville, I was at a wedding there. It was a beautiful outdoors reception, which meant picnic blankets, canapés, and most importantly, a coffee cart. I’m not a big coffee drinker but I LOVE COFFEE! And they had excellent baristas. I didn’t even need a second coffee but I got one just because I didn’t really feel like introducing myself to more new people, being that the only people I really knew were the bride and the groom. So after some time in line, I finally got my coffee and then saw the bride and groom. I walked over to get a photo. The pursuit of justice right now is a noble pursuit. As Christians, this pursuit is not one we should discourage or even condescend. It is a right response to cried as Jacob cried for the death of his brother. It is also right to cry as Jacob will cry for the defeat (or even death) of his brother’s murderer: the tears of someone who will feel vindicated. These are appropriate responses regardless of whether or not you have been made a new person in Christ; regardless of whether or not you have received this sure hope we have in Christ that he will return as the enduring judge. It is right for us to feel this sense of hope. It is right for us to feel that the fulfilment of these will save the world – because they do [I will unpack this soon]. It also matters that we express these emotions as creatively and as passionately as we are able. Our creativity allows us to express things that matter; our imagination allows us to see the world as it should be. This is not necessarily pessimistic, nor is it nihilistic. It’s realistic but with hope. Let me explain (with 2 digressions): My least favourite of the three is divorce — it’s complicated legally, financially, and emotionally. I think I’d be okay with break-ups (or at least I assume I would be, I’ve never experienced one. But I have been rejected heaps, and they are still sucky). They hurt but hopefully not as much as divorcing does. If I had to choose between the three, I would choose death: specifically, my death (although, not by suicide or murder; sacrifice, perhaps, but ideally ‘natural’). It seems easier. And being that Jesus rose from the dead, I know that I would gain eternal life with him and everyone else I love who are in Jesus. And this brings me to my first digression. This was a comment I made on facebook and I wanted to remember it. But the most important ‘other’ to know that you are beautiful is God. If God sees you as beautiful, then your beauty exceeds that which is commended to you by your friends and family. For God to see you as beautiful is more important than if your friends and family did. 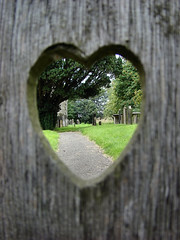 It’s a good thing that God did see Jesus as beautiful on the cross because he gives that beauty to you as a free gift. So God doesn’t see the ugliness of your sin but sees Jesus in you because by trusting in him he put your ugly sins on himself on the cross.